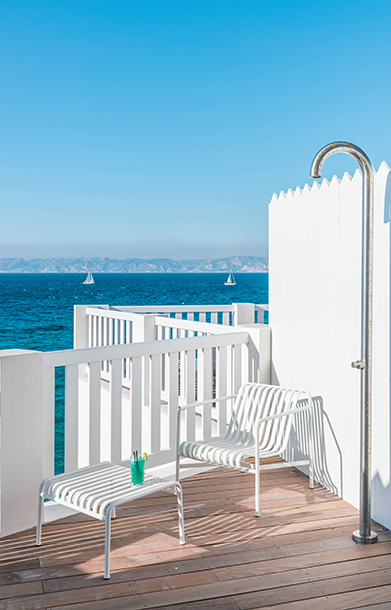 The hotel and Spa 4 stars of the Sea Bords, formerly named Le Richelieu is located close to the historic (and iconic) Old Port of Marseille. Inheritance of an art deco heritage, the old neglected building was bought in 2016 by Frédéric Biousse and Guillaume Foucher, heritage curators and founders of the Fontnille area in Luberon (25). 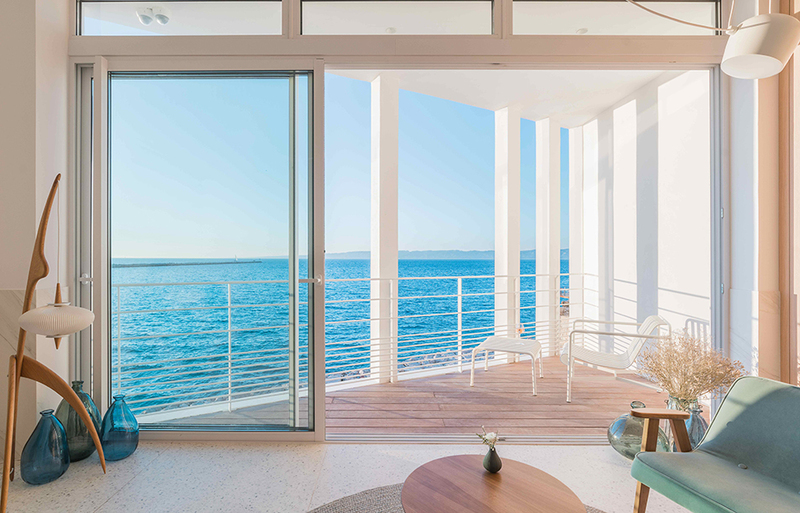 In order to enhance the image of this building with the charm of yesteryear, the duo entrusts its renovation to Yann Pluska, local architect in love with the coast of the Phocaean city. The hotel retains its 1930 facade and is equipped with an additional floor, extending its silhouette. 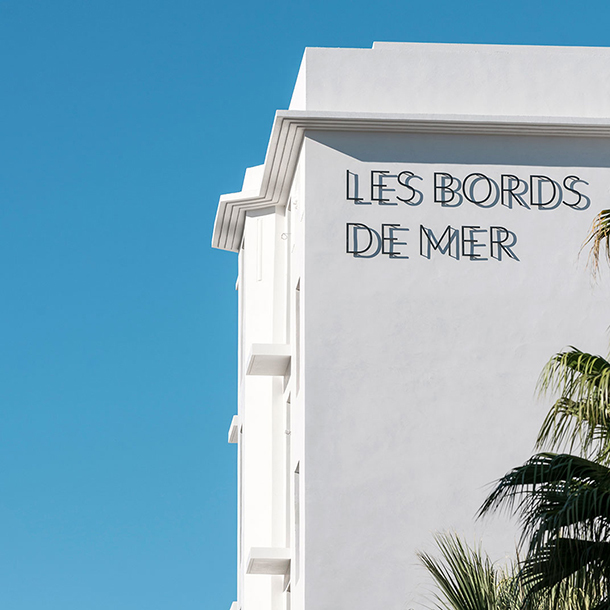 Its pristine exterior and rooftop terrace serve as a marble wall that rubs wind and tide, shadows and lights, to give visitors an experience worthy of the seaside atmosphere of the interwar period. 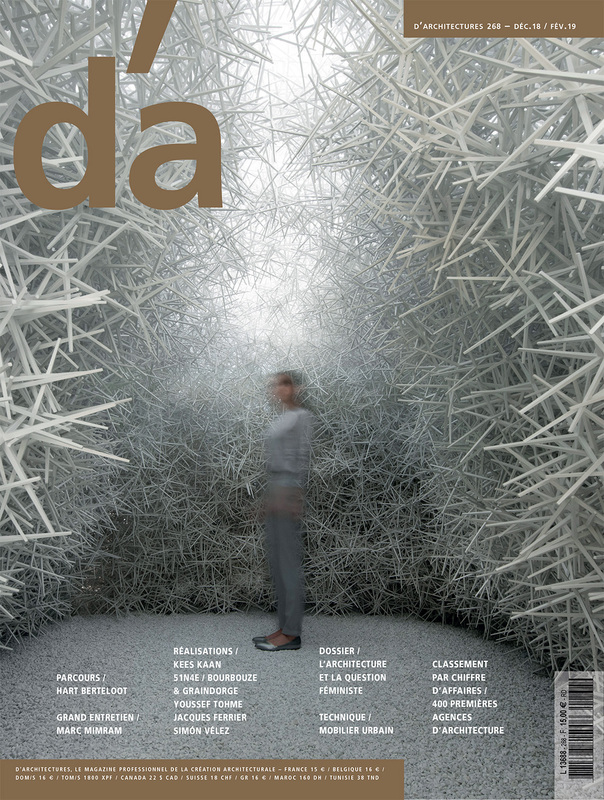 The complex building geometry of 1 000 square meters exploits an unusual format to give the whole unit an ergonomic layout. On the ground floor, a restaurant with local specialties seizes the most remote wing, and benefits from an outdoor access and a terrace bar. 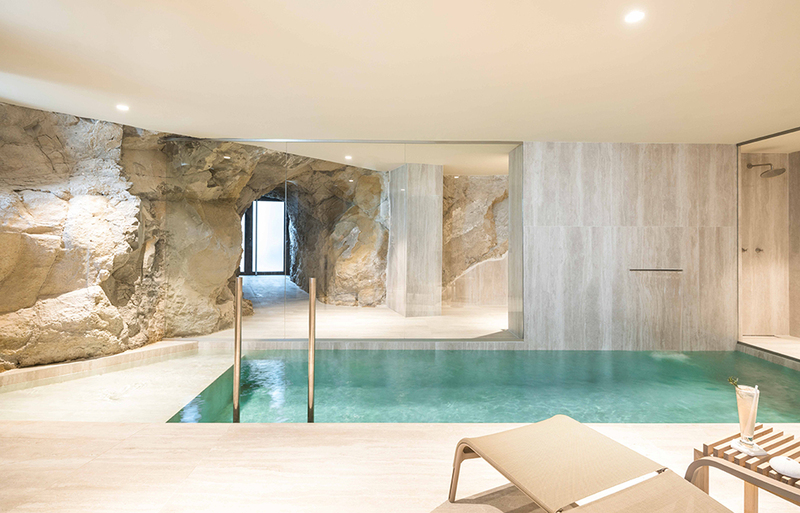 In the basement, a two-level 300 square-foot spa sits in the middle of the rocks and offers cave access to the sea. 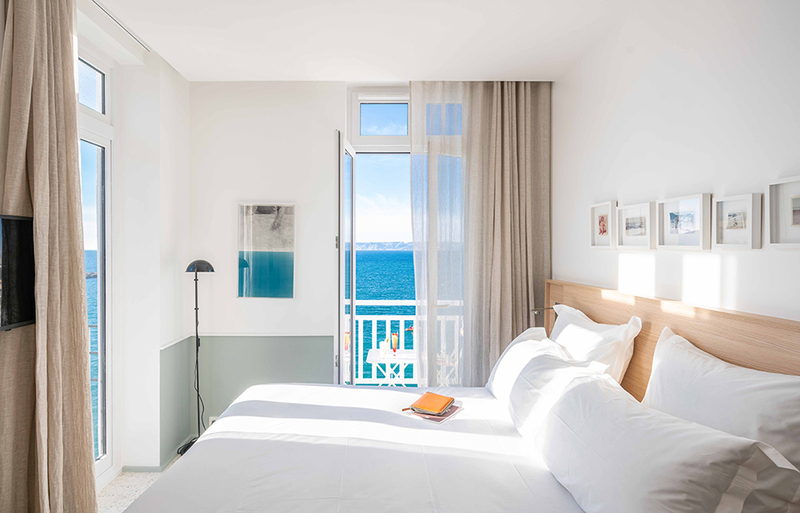 The rest of the building serves the 19 rooms of the hotel with minimalist decoration which, formerly overlooking the street, now have access to a breathtaking view of the Friuli archipelago, terrace, loggia or balcony. They are overlooked by a panoramic rooftop terrace and pool, the highlights of a complete getaway. What to put the golden age of seaside towns up to date.